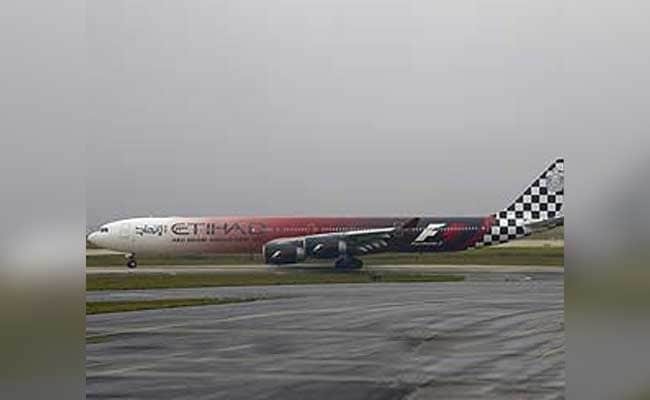 The Etihad airlines said in a statement that "all passengers and crew are fine"
Mumbai: An Etihad Airways aircraft with over 200 people on board suffered a tyre burst on landing, forcing the Mumbai airport authorities to shut operations at the main runway last evening. The operations were moved to the secondary runway after the plane from Abu Dhabi got stuck in the middle of the runway, an airport official said. The incident took place at around 7 pm. The aircraft had 196 passengers and 13 crew members on board, the official said. The Mumbai airport has a unique layout with two runways -- the main runway and a secondary one - intersecting each other. "Runway 14-32 (the secondary one) was in use as runway 09-27 (the main one) was taken over for inspection as an Etihad Airways flight EY 204 had a tyre deflated after arrival on the main runway," the official said. The airline said in a statement that "all passengers and crew are fine", and it was "assisting guests who may be impacted by the delay of the outbound flight and advising them of any subsequent changes to their travel plans".